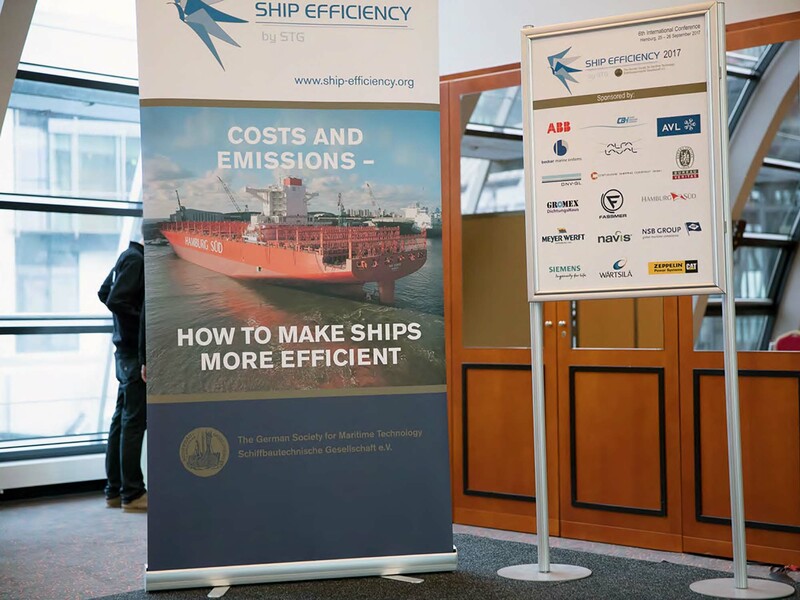 AML attended the 6th International Conference organized by STG on Ship Efficiency which was held in Hamburg between the 25-26 September 2017. During the course of the 2 days, various topics on ship efficiency were presented by a number of prominent speakers. The path to ship efficiency and environmental regulations and policies were discussed together with hybrid approaches for onboard power generation and propulsion drives. A panel discussion of recognized experts from leading shipping companies, gave their views on unmanned and autonomous shipping, which also created a lot of debate from the audience. Fuel consumption measurement, monitoring and reporting, energy efficiency improvements and efficient designs for ships were also some of the other topics presented during the days. A conference dinner was held and a dinner speech presented by the Federal Ministry of Transport and Digital Infrastructure, Germany was given by Mr. Achim Wehrmann for the occasion.